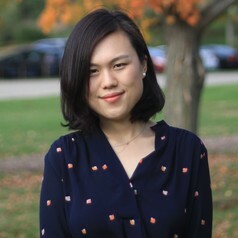 Dr. Shupei Yuan (Ph.D., Michigan State University) is an assistant professor in public relations at Northern Illinois University and the co-advisor for PRSSA NIU chapter. Dr. Yuan’s research focuses on the areas of public relations and strategic science communication. She is interested in how scientists and science communicators interact and build mutual beneficial relationship with the public. Her work has been published in venues such as Science Communication, Health Communication, Public Understanding of Science, etc.